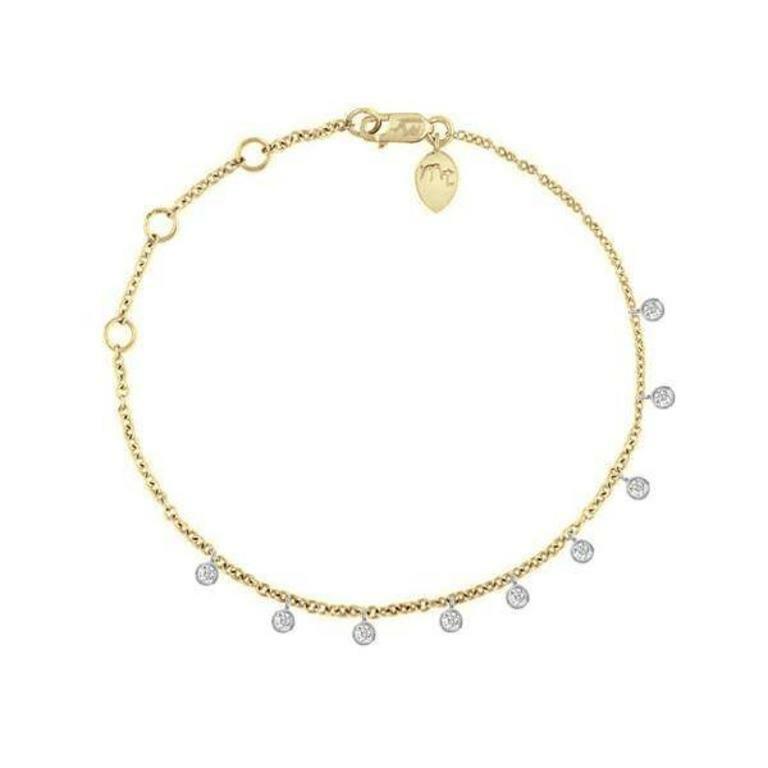 Ladies diamond dangle bracelet of contemporary styling. The bracelet is crafted in 14k yellow gold and is comprised of rolo style links. It is set with nine round brilliant cut diamonds that are full bezel set and dangle from the bracelet. The bracelet also includes three jump rings for length adjustment.